It has been a busy summer at Security Central. We have been working hard to upgrade our monitoring software to a new platform that will allow us to C.A.R.E. for our clients better than ever before. One of the most exciting new features will be electronic Chat functionality. Using Chat, when your alarm goes off, a text message with an invite to a chat room is automatically sent to all contacts on your call list. Without needing to place any calls, you and your other account contacts can discuss what type of response is needed. Maybe someone can confirm that they set off the alarm by accident. Perhaps nobody knows what caused the alarm. Either way, information sharing and decision making can occur more quickly. You can even communicate with Security Central’s operators to dispatch the authorities or disregard the alarm right from the chat screen. And don’t worry, if you and your contacts aren’t able to respond to the chat invitation, we will still proceed with our traditional notification procedure and give you a call. 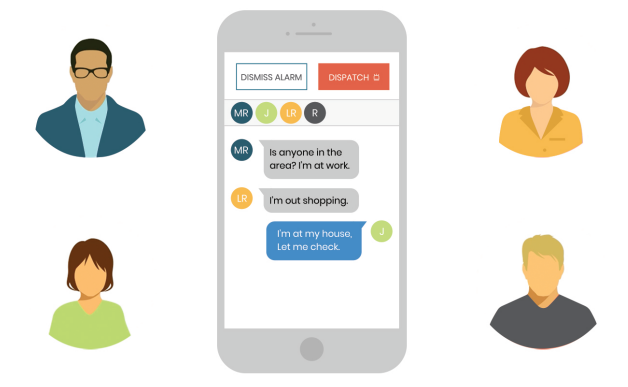 This great new feature will not only provide more information to our clients, but it will also help by eliminating false alarm calls to the authorities. The more people who can communicate about an alarm, the less likely the police will be called unnecessarily. This new feature will be rolled out in mid-August. Expect us to reach out in this new way on your next alarm! If for some reason you would prefer to opt out of this new chat feature, please let us know. For more information please see this video.